PV Sindhu won the silver medal while Saina Nehwal grabbed the bronze medal at the 2018 Asian Games. India's star badminton players PV Sindhu and Saina Nehwal are aiming to change the colours of their medals at the Tokyo Olympics to be held in 2020. Speaking exclusively to NDTV, both PV Sindhu and Saina Nehwal said they were aiming for glory at the next Olympics. PV Sindhu admitted it wasn't easy to win a medal at the Asian Games. "A happy moment about it. A proud moment for me and the country. Not easy to win a medal at the Asiad. Pressure is always there. Very important to give your best", she said. On the other hand, Nehwal rated her year as fantastic. "Been a great year overall. This year has been fantastic for me. Now I need to better my results", she said. Sindhu also stressed on the need for athletes to pick and choose tournaments. "We need to pick and choose tournaments. Don't have enough time. We need to pick and choose tournaments", she added. Sindhu won a historic silver medal at the Asian Games 2018 to add to the bronze won by Nehwal. 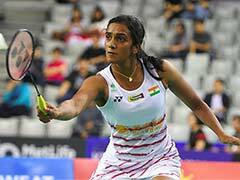 Sindhu failed to break her 'finals' jinx at major badminton events as she went down to World No.1 Tai Tzu Ying of Chinese Taipei in the gold medal match. 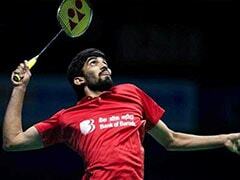 However, the Indian star remained positive and vowed to come back stronger in future tournaments. Sindhu said that mistakes were a stepping stone and the lessons learned in each defeat will eventually help in her quest for an elusive gold. Sindhu has lost finals at the Olympics, Commonwealth Games and two world championships before her Asian Games loss to the top seed. The 23-year-old Sindhu has also played in five other finals this year without winning any of them.